Department, University, and Community description: The Division of Outreach, Engagement and Regional Development (OERD) is NIU’s most entrepreneurial externally focused unit. OERD staff members help advance the university’s mission by applying their subject matter expertise, networks, creativity, and initiative to address regional, state, national and global challenges and opportunities. Primary responsibilities of OERD are to leverage the division’s knowledge of the region; encourage and support collaboration with communities, create and develop funding and revenue generation models, and position NIU as a national thought leader. The result of this work is to attract external funding, inform policy-making, increase college and career readiness across our region, and provide NIU with access to prospective students and their families, professional associations, and alumni. In executing these responsibilities, OERD understand partnerships as assets, collaboration as a standard of practice, and networks of partners, stakeholders, and customers as a primary organizing principle. OERD employees regularly represent the university and the division on significant issues and policy initiatives. To do this requires excellent communication and highly effective relationship development and management. OERD employees use these skills to engage in direct two-way interaction with NIU’s external communities through the development, exchange and application of research and knowledge for mutual benefit. This type of place-based, public engagement supports both community needs and NIU imperatives, enhancing town-gown and regional collaboration towards common goals and creating value for the university. As a division, OERD is largely self-sustaining, requiring that employees be skilled at developing funding mechanisms to support people and policy initiatives. OERD hires and evaluates employees based on their demonstrated ability to succeed in a dynamic environment that demands a high level of teamwork, ingenuity, independence, and accountability. The division is also committed to fostering a deeper level of engagement with faculty, staff, and students across the university and increasing integration of the outreach-and-engagement agenda of OERD with other aspects of the NIU mission. Function of the Job: OERD staff members serving as extension faculty and faculty supervisors are professionals who conduct the division’s multitude of outreach and engagement activities in formal and informal educational environments across the region. They focus on instruction, but they are also involved in revenue generation, research, relationship management, and regional monitoring. The Lorado Taft Field Campus is Northern Illinois University’s outdoor education and conference center and is located in Oregon, Illinois. Taft Campus’ outdoor education program is generally multidisciplinary, place-based, and experiential, and planned in close partnership with the visiting schools with the goal of providing excellent programming and customer service to the visiting students and staff. 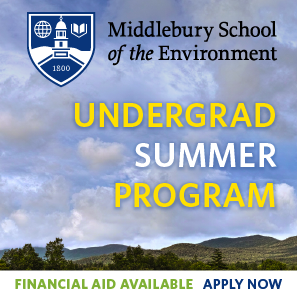 Under the direct supervision of the Outdoor Education Extension Faculty Supervisor, the Outdoor Education Instructor is responsible for the instruction of resident outdoor education experiences for elementary and middle school students. •	Develop and teach classes in the outdoor environment to students in the 4th to 8th grades. •	Develop curricula and resources for the program. •	Assist in the maintenance and upkeep of campus teaching, habitat, and resource storage areas. •	Participate in staff training prior to teaching and throughout the school year. •	Assist in the coordination of the residential outdoor education program. •	Complete projects assigned by the Coordinator or Specialists. •	Six months experience as an educator, naturalist, or facilitator of non-formal education programming. •	Two months experience teaching, facilitating, or participating in outdoor education or recreation activities. •	Ability to live in provided campus housing. •	Ability to manage a security sensitive position, having passed a pre-employment background investigation including a criminal background check. 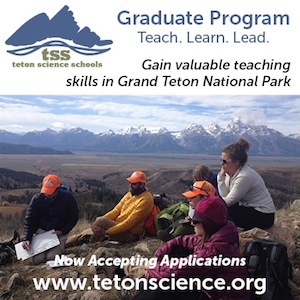 •	Experience as an educator, program staff, naturalist or related position at a residential outdoor education center, nature center, or similar facility preferred. •	Previous experience in preparing lesson plans, outlines, or guides in preparation to teach or facilitate activities. •	Previous experience leading or facilitating groups in team building activities. •	Ability to work effectively with co-workers and supervisors to achieve the goals of the program. 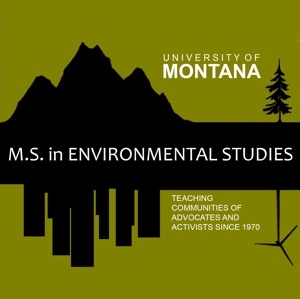 •	Ability to convey information about environmental topics without bias and with the goal of encouraging lifelong learning. •	Ability to effectively engage in behavior management in order to maintain students’ interest and participation in outdoor classes and activities. •	Ability to manage work time effectively and with little supervision to ensure preparedness and project completion. •	Flexibility and the ability to deal with the unexpected and quickly changing nature of outdoor activities and children. •	Demonstrated enthusiasm for the outdoors and outdoor education, even when conditions are challenging. •	Demonstrated professionalism as related to the field. •	Demonstrated competence in verbal communication, particularly the ability to present information, ideas, directions, etc. in a clear and concise manner.